Blockchain is undoubtedly one of the hottest topics in the tech industry. When people think of Blockchain their initial thought lean towards cryptocurrencies and fintech; it is however far more than just a new payment system. Blockchain can potentially revolutionise how transactions over the Internet take place altogether. Blockchain uses cryptography to keep exchanges secure, providing a decentralised database, or “digital ledger”, of transactions that everyone on the network can see. This network is essentially a chain of computers that must all approve an exchange before it can be verified and recorded. With such a revolutionary system, Blockchain technologies are starting to take over the world. The African continent is of course also looking to take advantage of a system which could have a lasting impact on Africa’s unbanked sector. Bitland is an organization that looks to provide services that will allow individuals and organizations to survey land and record deeds onto the Bitshares Blockchain. They do this by streamlining and automating the entire land registration process so it provides a better system of record, by combining automation with blockchain technology. Currently the pilot project is working out of Kumasi, Ghana, and the team is looking to expand their reach further into the African continent. As the organization grows, they look to build infrastructure in developing countries to potentially unlock billions of dollars in untapped property rights. CustosTech looks to help the entertainment industry tackle piracy by providing a simple and sustainable solution by using Bitcoin. 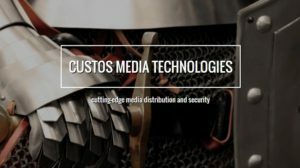 Custos develops cutting edge digital content technologies that allows content owners to distribute, manage, and protect sensitive media. Their technology turns downloaders against uploaders by embedding extractable bounties into media entrusted to customers. The innovative core technology gives a new level of protection to the owners of any project – whether a large book publisher, or a small indie film producer, or anything in between – anywhere sensitive digital media moves, Custos can protect it. Bankymoon is startup, primarily focused on taking advantage of blockchain technologies by providing bitcoin payment gateways to smart metering vendors, this will allow the vendors to accept bitcoin payments for utilities. The company looks to cut out intermediaries such as a municipality which channels utility to its commercial, industrial or residential customers. The system which Bankymoon provides will cut out middlemen and thus cut out costs.